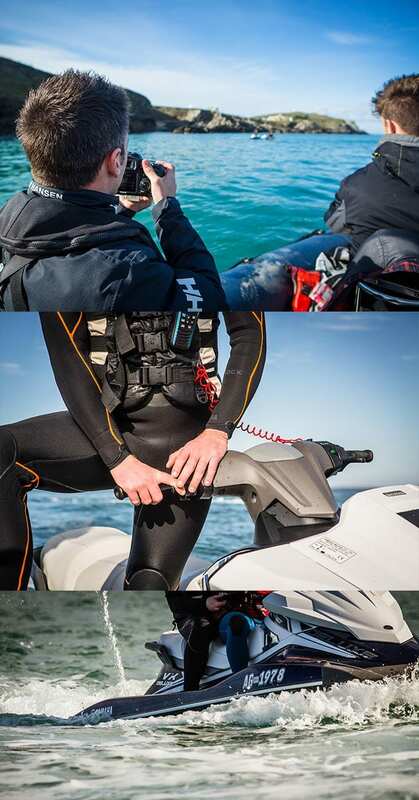 Cornwall Waverunner Safaris is able to offer the filming industry a bespoke service with jet ski and boat hire available to support and aid any filming requests. We have the ability to transport multiple Jet Skis around the UK and throughout Europe. We have a vast knowledge of the machines and there capabilities ensuring that we do the job required well and safely. We have worked with a number of TV and film companies, helping to offer support on the water. Our most recent projects include working with Channel 4 on part of a new TV series and with the BBC on a recent documentary. We have a wide range of marine equipment available for higher including jet ski and boats.